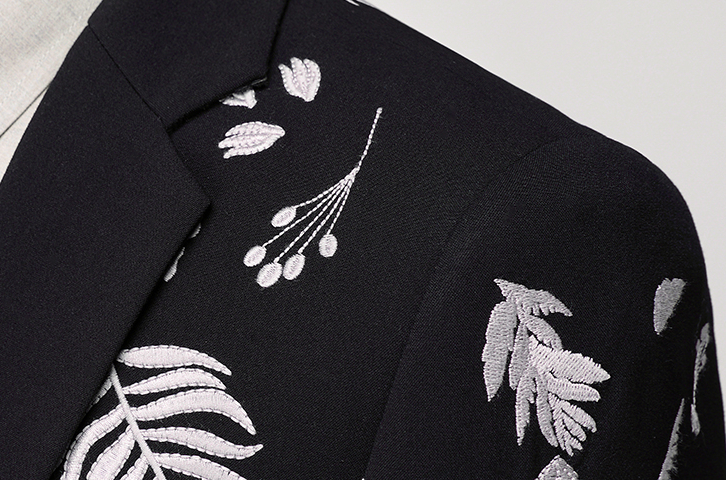 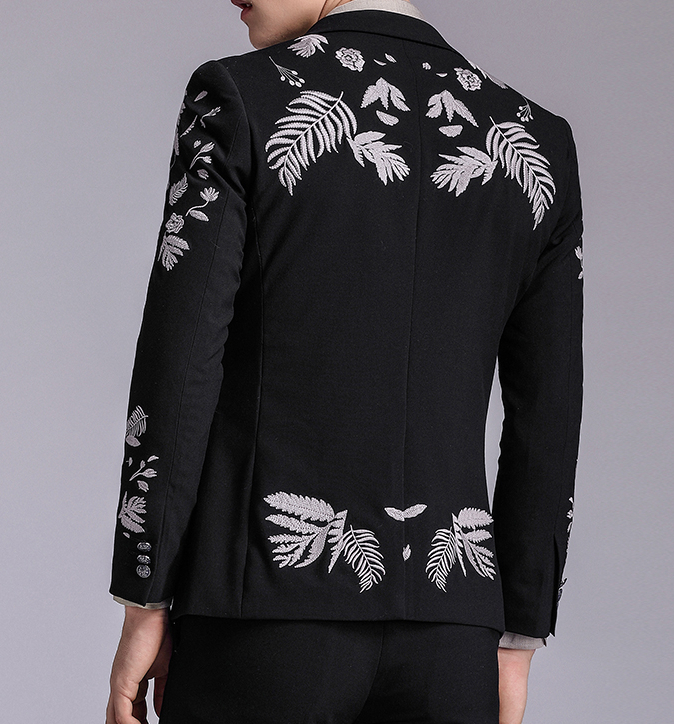 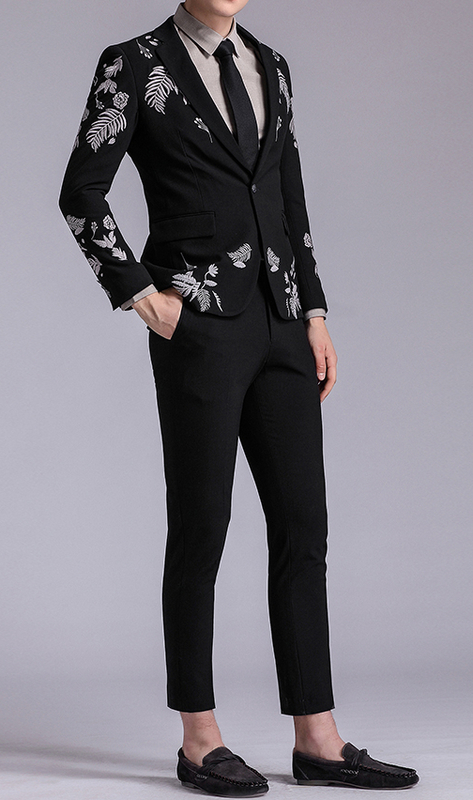 This embroidered blazer and pants suit is remarkable. 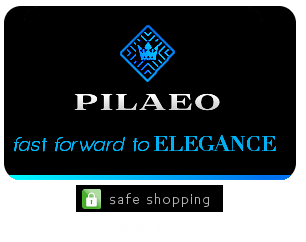 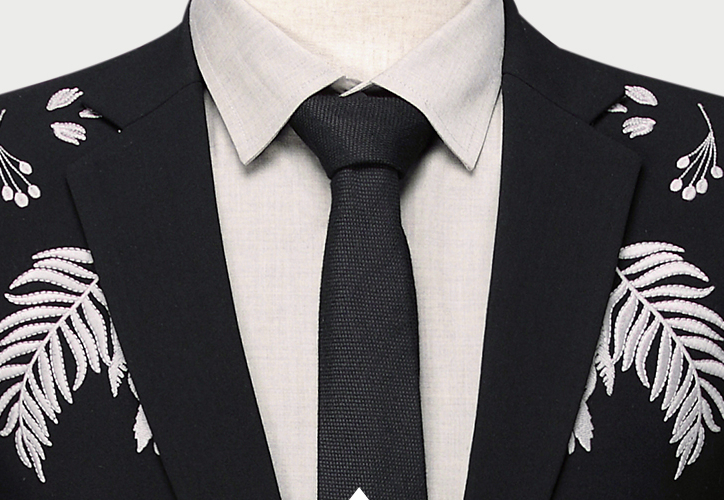 It features highly professional and tailored fitting and material that's quality all around. 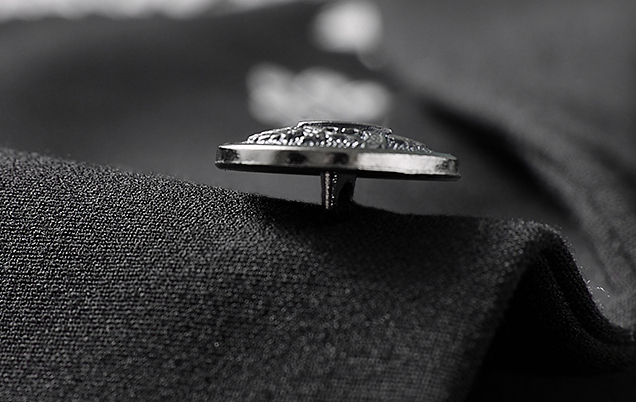 This sleek fit will make you a gentleman of style and modern charm. 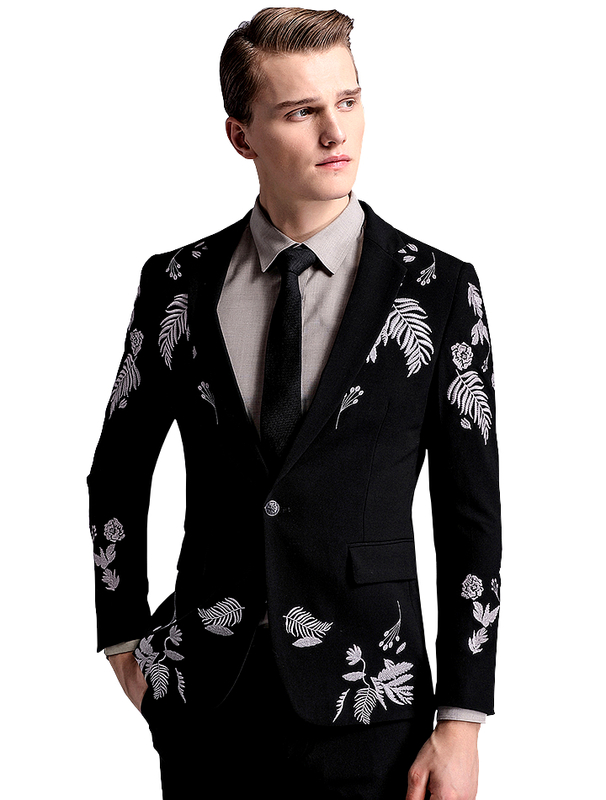 Excellent for events such as weddings, and dinner banquets.